A self-proclaimed stylist turned PR girl, Camile Tanner brings a fresh and creative approach to one7 communications, known for her out-of-the-box ideas, enthusiasm and dream-big attitude. Working her way to account executive from an internship in less than three short years, Tanner now leads the team for luxury and lifestyle accounts while continuing to assist upper management in the development and execution of innovative PR plans, social and strategic marketing communications and digital influencer campaigns, and the production of creative solutions. Tanner prides herself on keeping her clients and brands center stage using passion and creativity, and currently leads on accounts including all six ALEX AND ANI Las Vegas stores, luxury Elysian Living resort communities, award-winning COLOR – A Salon by Michael Boychuck salon inside Caesars Palace, and celebrity colorist Michael Boychuck, Givenchy Boutique at The Wynn, Constantine George, M.D., and his company Epitomedical and the Vedius app. Tanner has also had the pleasure of working on client accounts including STK in The Cosmopolitan of Las Vegas, Sprinkles Cupcakes, L’ermitage Beverly Hills, The Color Run, Exotics Racing, Aid for AIDS of Nevada, Morels French Steakhouse & Bistro in Los Angeles and Las Vegas, and Los Angeles’ Market City Caffe. Through her relationships with key media and digital influencers, Tanner has secured an impressive portfolio of press placements with Forbes, “The Today Show”, “Extra”, Life & Style Weekly, New York Magazine, LA Times, INDUSTRY Magazine, NBC Los Angeles, Radar Online, Los Angeles Daily News, EcoSalon, Today.com, OK! Magazine, Vegas Magazine, Vegas INC, David Magazine and many more. 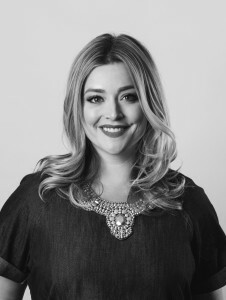 A Las Vegas transplant, Tanner was born and raised in Anchorage, Ala., and relocated upon her acceptance to the Western Undergraduate Exchange program at the University of Nevada, Las Vegas to pursue her degree in Integrated Marketing Communications with an emphasis in public relations and marketing. Tanner is a member of the Public Relations Society of America (PRSA) and enjoys volunteering with local charities including Nevada Partnership for Homeless Youth (NPHY) and The Goodie Two Shoes Foundation.